The waters off Georgetown, S.C., hold enough bait to attract big kings into late fall. 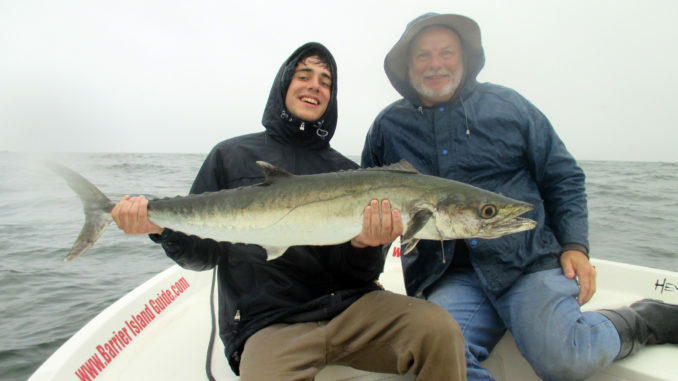 The summer of 2018 was one to remember for king mackerel, which dominated the nearshore and offshore waters off Georgetown, S.C. for most of the spring and summer, and with the water cooling, the bite certainly won’t end, even though numbers will be off slightly. The ones still around are on the hefty side, looking for an easy meal. Kings continue to offer anglers a real opportunity in the waters off Georgetown. The jetties at the entrance to Winyah Bay convey massive amounts of flow from five river systems, pulling nutrient-rich waters into the Atlantic Ocean. Baitfish and predators lurk in the region, making it a perfect spot to lock up with a big king mackerel in November. Steve Roff of Barrier Island Guide Service continues to target kings well into the fall, especially big ones. Kings prefer waters temperatures in the 60s and will move to find water in that range wherever possible. During November, the water temperatures in the ocean can vary tremendously depending on the weather. Kings could be just off the beach or 20 to 30 miles offshore in 100 feet of water. King mackerel will be wherever the bait is, and the best bite is typically around a temperature break. As November arrives, inshore waters will cool much more quickly than the ocean, creating a difference in temperature bursting into the ocean that creates a tide line, and there are still plenty of baitfish pouring out of the inlet to escape the inshore cool down. Roff’s first reaction in November is to find kings around these tide lines. “Tide lines are always great places to find bait and kings feeding along these mixing zones. 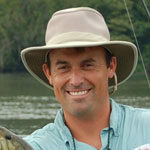 As long as the water temperatures don’t fall too much near the inlet, there will still be some kings around,” he said. If nearshore waters are too cool, Roff will venture further offshore before he drops his lines. Reefs or livebottom areas are always good places to try. “Anything to concentrate baitfish with the right temperature is key to finding big kings in November,” said Roff, who likes to use live bait in November, and the bigger the better for the big smoker kings lurking in area waters. More kings might be caught in October, but the number of big fish caught off Georgetown in November makes a trip worthwhile. If anglers can find the right water temperature and a concentration of bait, lines will surely begin to sing.